Everyone who is in the market for a new home is looking for a certain number of features. These features could be meant to improve comfort, safety or even productivity. The most popular options in a house tend to change each year and create trends in the marketplace. 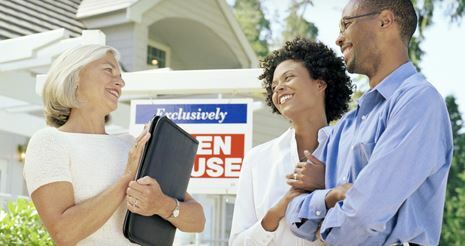 Potential home buyers are currently looking for a few key features. One of the top features potential home buyers are looking for is storage space. A large number of buyers want a home that has walk-in closets. Most also want a master bedroom that has an attached walk-in closet. Pantries are popular as well since they provide space for food and supplies in an accessible area. Some buyers look for homes with garages just for the added space. This is one reason why two-car garages are becoming more popular. Part of the garage is used for storage while still leaving the other side open for parking. More than half of buyers are looking for a house that has a central air conditioning system. Central air conditioning keeps the entire home comfortable throughout the year. Most systems have programmable thermostats and vents that control the flow or air in each room. This is a popular feature in homes because central air conditioning is very energy-efficient. An increasing number of potential buyers are looking for homes with integrated technologies. This could mean installed Internet ports in different rooms. It could also mean integrated entertainment options such as surround sound speakers. A number of buyers are specifically looking for homes that have a modern security and monitoring system like the ones available through the LifeShield store in Pittsburgh. Modern security systems give potential buyers peace of mind. Homes with new windows are in high demand with buyers. The technology behind windows has been improving consistently over the last decade. Homebuyers are aware that windows are one of the key locations where energy from heating and cooling is lost each year. Buyers are looking for homes that have new windows that block ultraviolet light. Buyers also want to see windows with multiple panes that insulate the home. Potential buyers are looking for houses that have added amenities. Amenities make living in the home safer, more enjoyable and more convenient. Pools and hot tubs are popular. Indoor amenities could include a small service kitchen, double sinks or showers in the master bathroom or French doors. Other buyers will be looking for houses that include the best home protection in Pittsburgh complete with wireless connectivity and environmental monitoring. Buyers who are looking at homes in urban markets are especially interested in extra amenities.